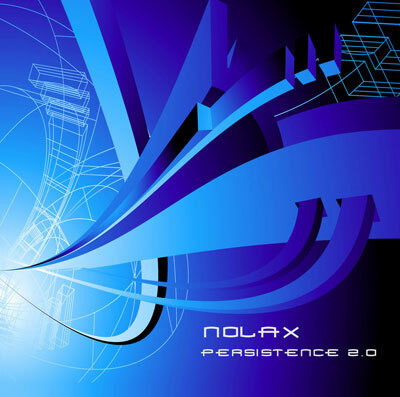 Nolax Persistence 2.0 was first released on 30th June 2007 as 128k mp3 (now hosted on ektoplazm.com) with the promise of a CD release, and here it is. There are small changes in the tracks, and new mastering. "Persistence 2.0 is firmly entrenched in the old school revivalist movement. Nolax draws upon the Eastern mystique of mid-nineties Goa trance while composing fluttering cosmic melodies and luscious atmospheric panoramas. Nowhere is this more evident than in his remake of Shakta’s classic song Lepton Head, originally released in 1996. As a result, this album emanates a genuine quality that is sure to be appreciated by all fans of old school Goa trance."